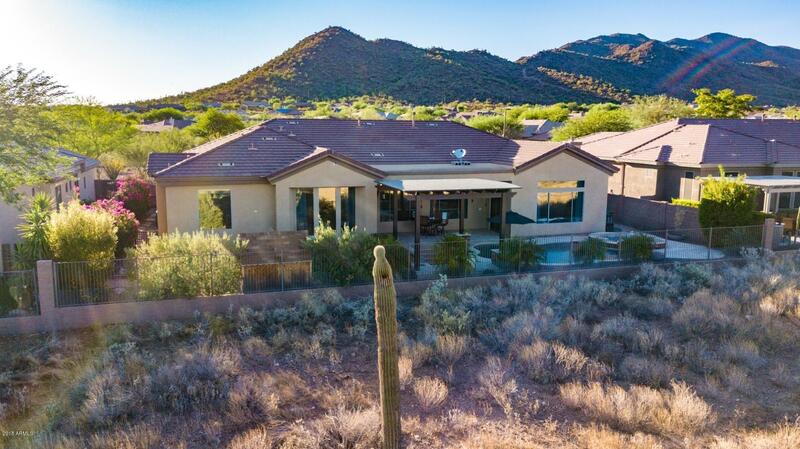 Modern Rochester sitting at the base of a more than 13 acre desert preserve allowing for unobstructed views of the Sonoran Mountains. 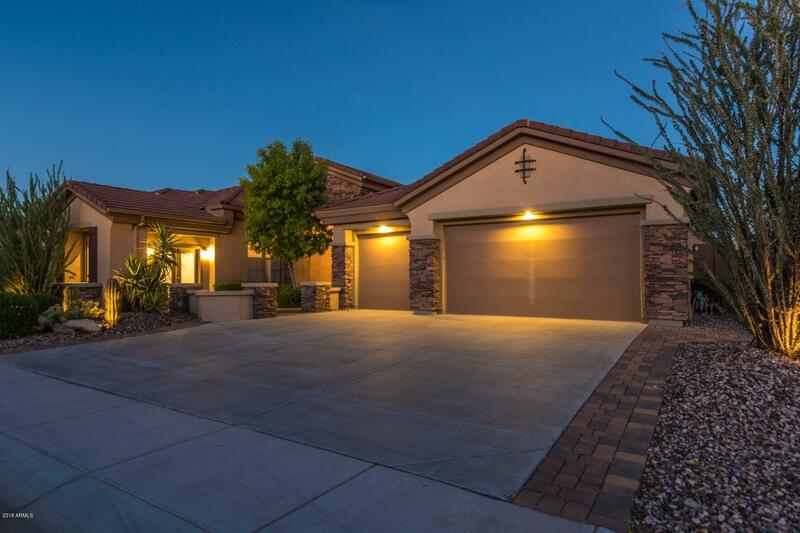 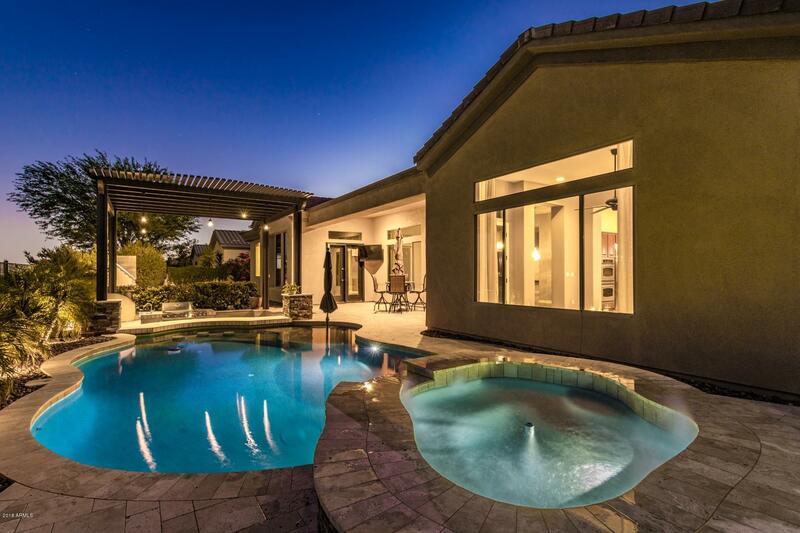 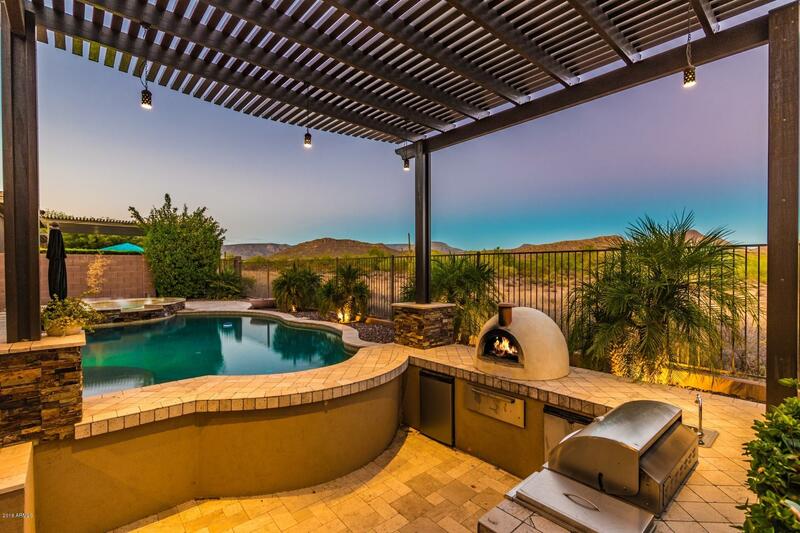 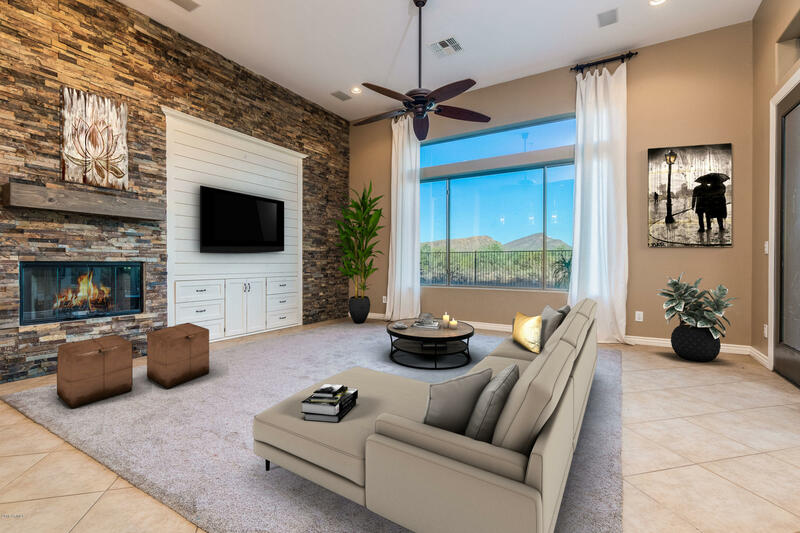 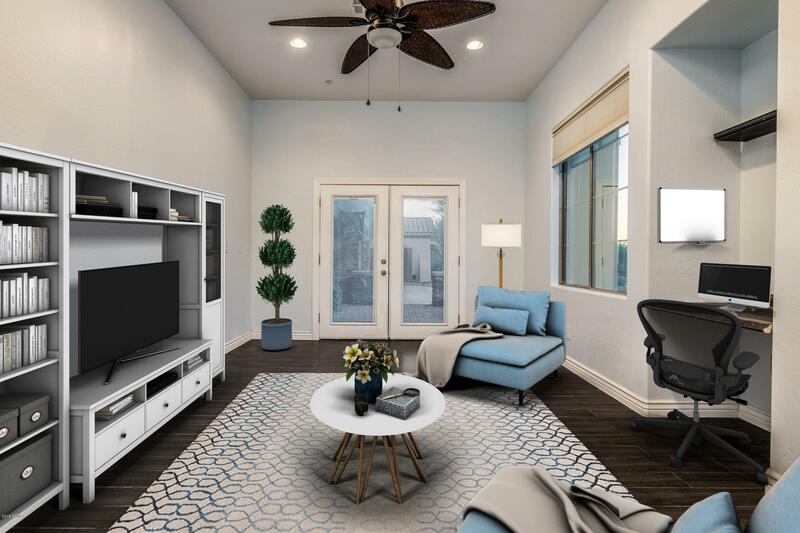 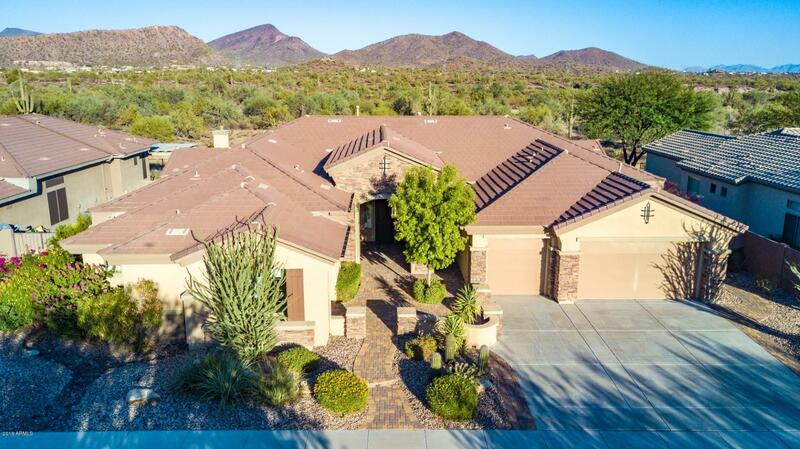 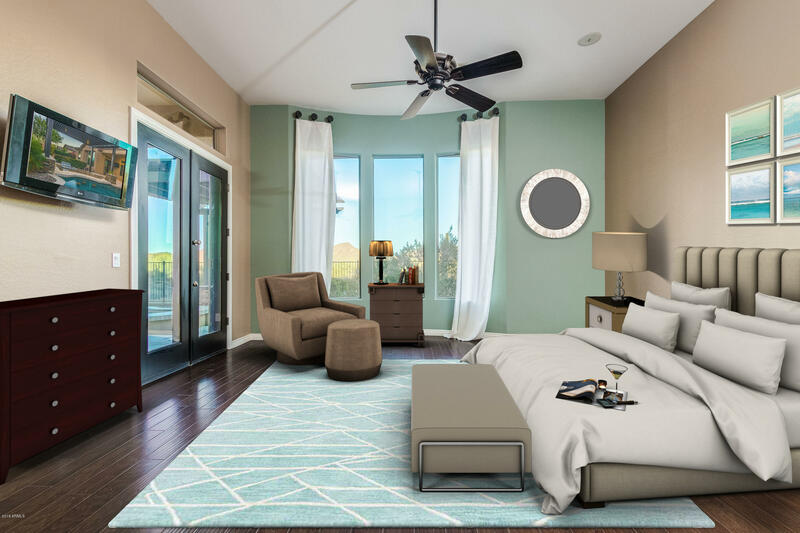 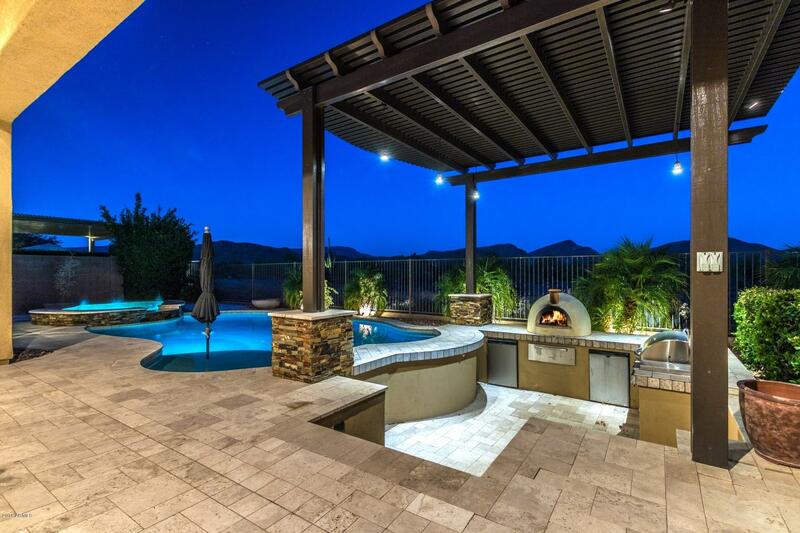 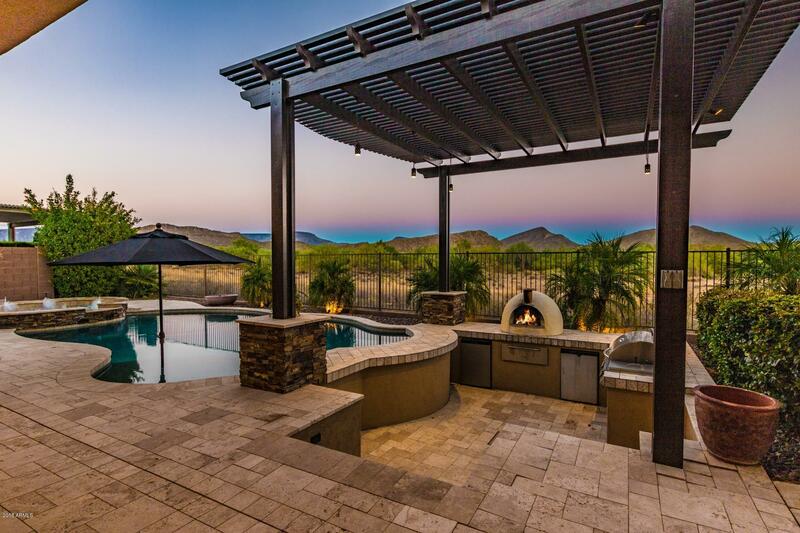 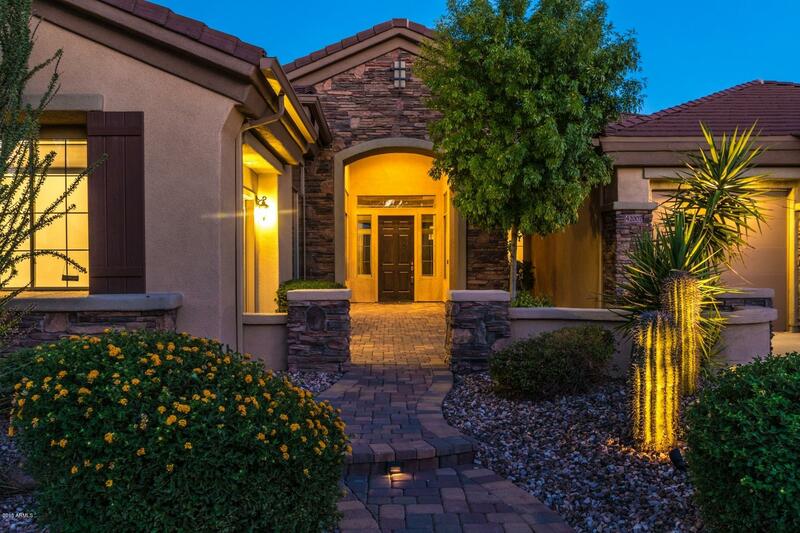 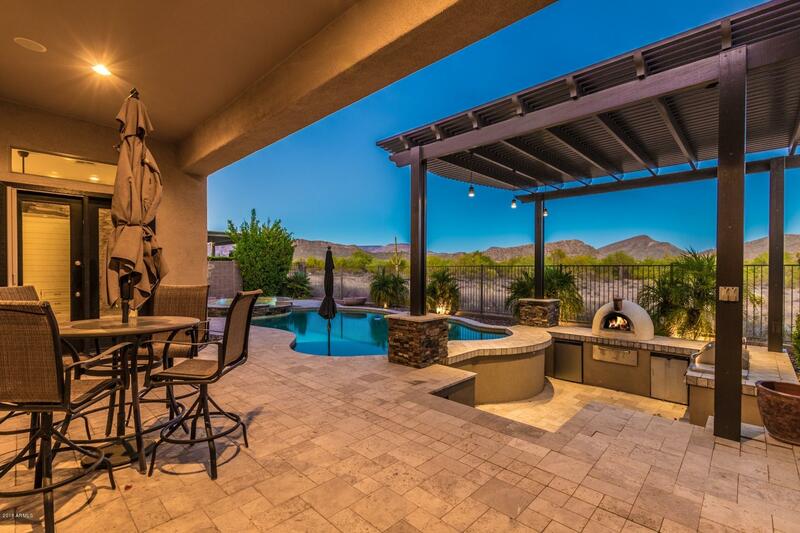 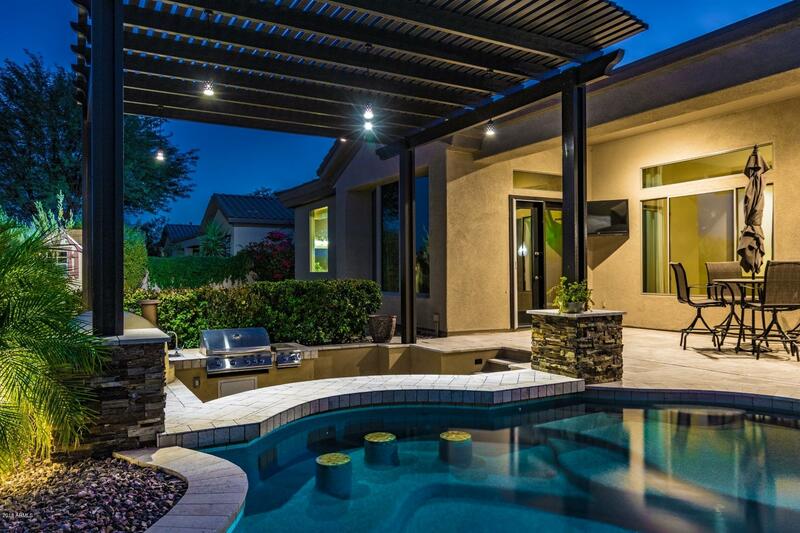 Gaze upon the desert preserve from your sparkling blue pebble sheen heated pool or hot tub and enjoy afternoon shade in the backyard with step down barbecue area and wood burning pizza oven with a gorgeous ramada. 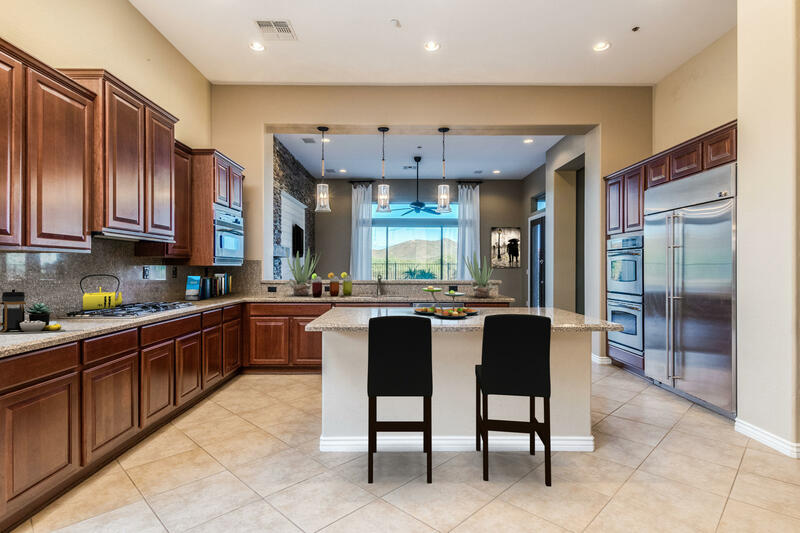 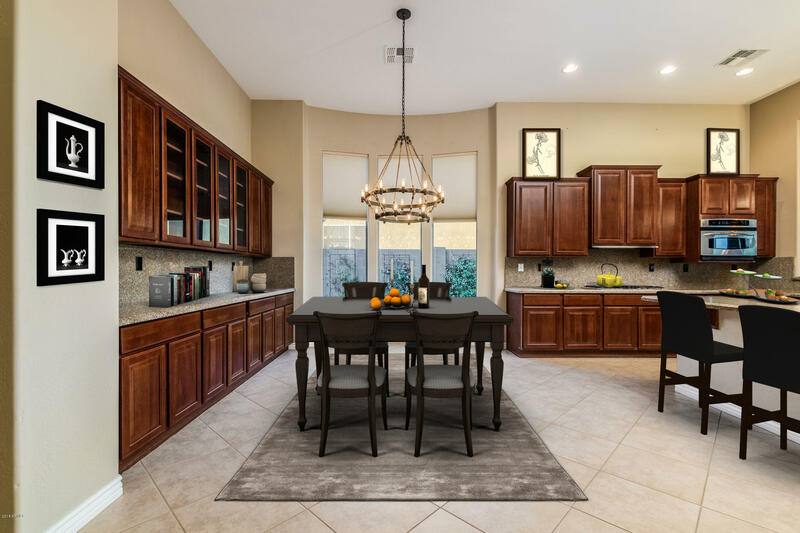 Grand kitchen with granite counters and large island, stainless steel appliances, breakfast bar, staggered cherry cabinets, butlers pantry, gas cooktop and double door built-in refrigerator & mountain views. 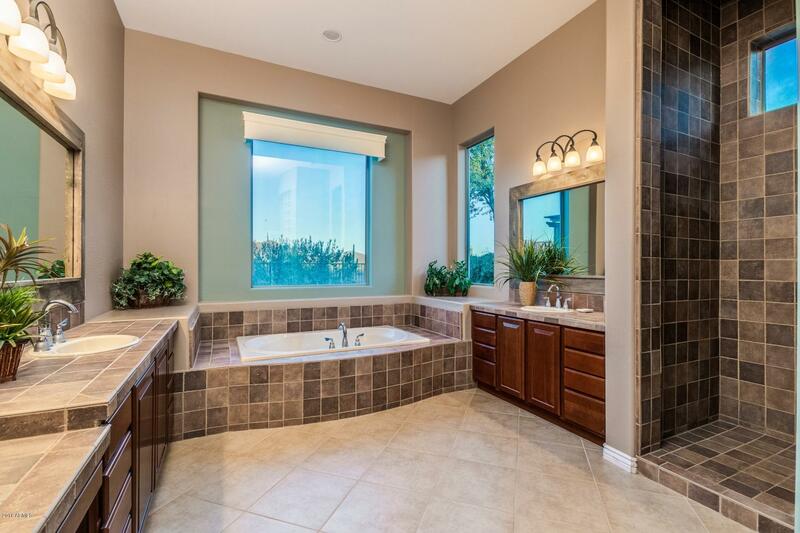 Upgraded light fixtures & stacked stone accents over hardwood flooring & diagonally laid 20 inch tiles. 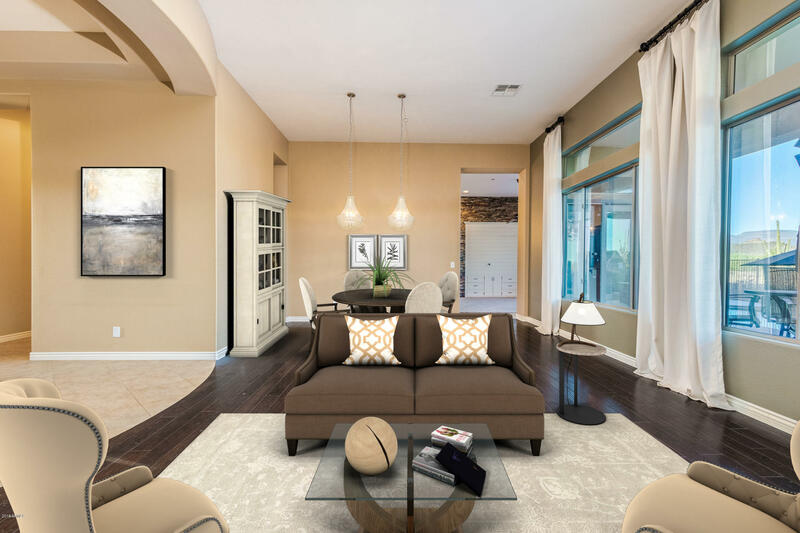 Custom niches, dramatic window treatments, wood built-ins, recently painted. 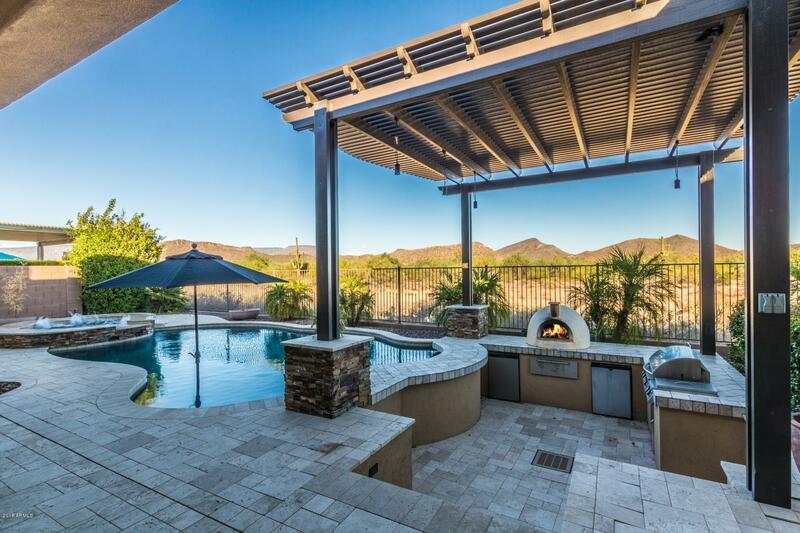 Tennis, Pickleball, Golf Packages, & 3 gyms, pools & more!